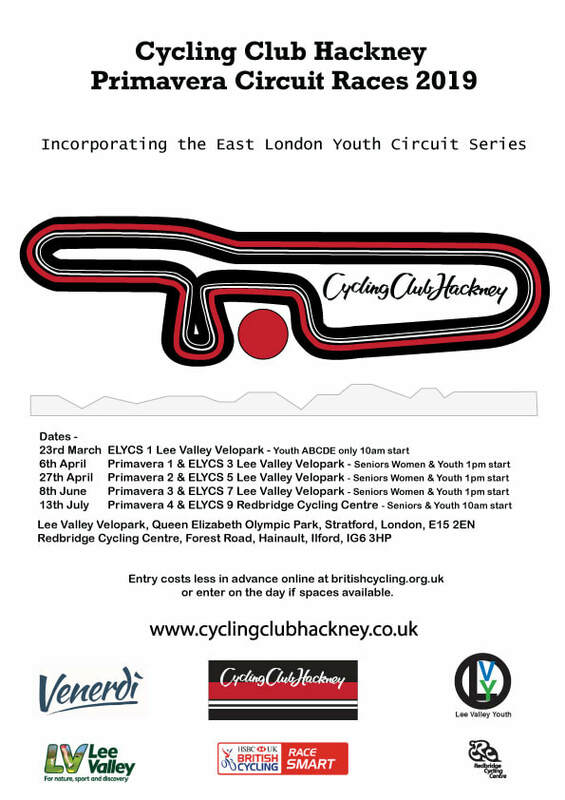 Cycling Club Hackney is proud to present the opening round of the new East London Youth Circuit Series - the 1st of ten events being run with LVYCC alternately at Lea Valley Velopark and at Redbridge Cycling Centre this spring / summer.There will be competitive racing for youth categories A B and C with points being awarded over the series. Each rider's final placing will be based on their best results from eight out of the ten events - with prizes being awarded at the final event. Youth categories D and E support races will take place at all events at LVV and at the final round. The final round of ELYCS will be a stage race with a stage in the morning and afternoon for the Youth ABC.